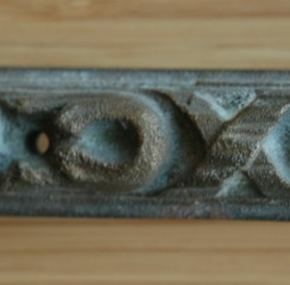 A decorative strap from a first-class corridor on Olympic. 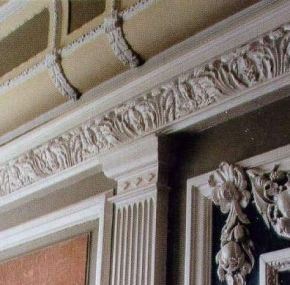 When walking down first-class hallways, the decorative coving seen in this photo from the Haltwhistle paint factory hid electrical wiring. These straps were used to hide the seams in the coving woodwork at ceiling level. 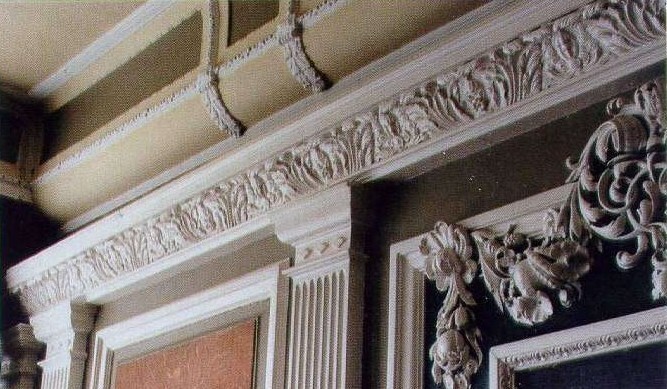 See the photo of the strap in situ at the Haltwhistle paint factory board room. Made of solid bronze, these straps are very heavy and well made. 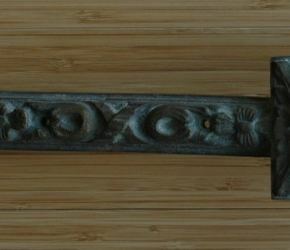 This one measures fully 18½” in length. A few broken segments of these straps were available shortly after the auction back in 2004. Far fewer have been made available in their original complete form such as this example. 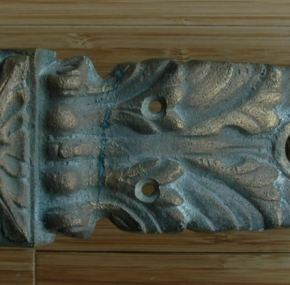 A lovely decorative item that is surely identical to what was on Titanic.